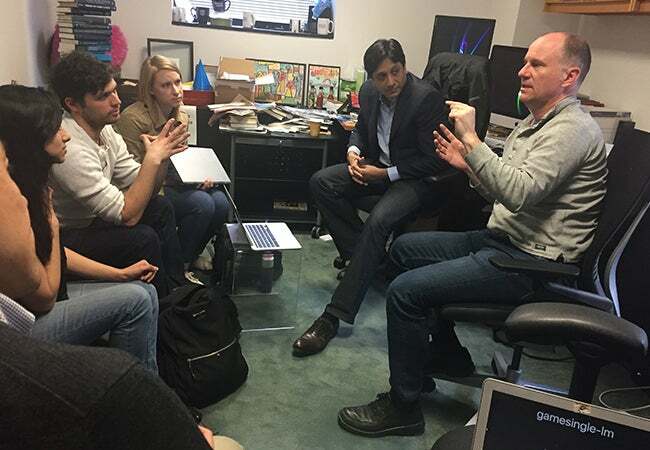 Professor Arun Sundararajan meets with a group of MBA students at the headquarters of Shapeways, a 3D printing marketplace and service company, in New York City. “Technology start-ups, whether you’re on the East Coast or West, are centered on ways they can bring value to customers – to create some kind of innovation that will disrupt how people are doing things, their usual routine, how they get things done,” MBA student Dedae Audi said, describing why the tech industry is her ideal career path. A former currency trader, she appreciates technology’s ability to have a positive impact on people’s lives and began looking for experiences that would increase her knowledge and expertise in this field. Enter “Tech and the City,” a new experiential course at NYU Stern that offers students the opportunity to immerse themselves into a successful early-stage technology company in New York City – the 2016 cohort included Clarifai, Codecademy, Handy, Hello Alfred, Minibar, Shapeways, Skillshare and YouNow – to understand the company’s founding vision, value creation model and funding path, assess how company metrics are connected to its growth and priorities and lead a customer-inclusive project about the company’s product-market fit. 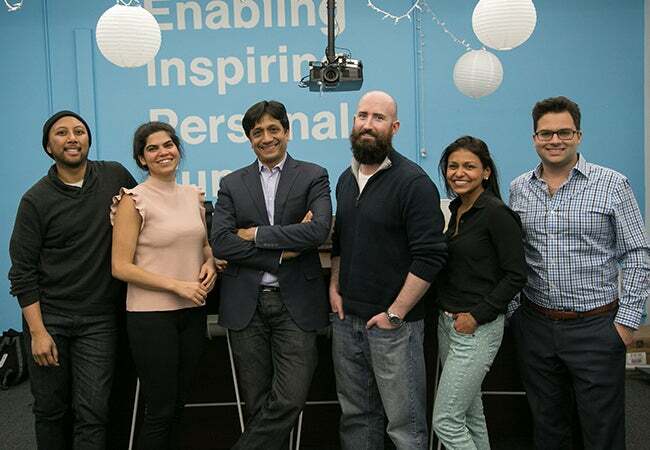 Created and led by Professor Arun Sundararajan and Albert Wenger, a partner at Union Square Ventures, the course’s students engaged as consulting teams with start-up founders and executives for a semester-long immersive experience that had a lasting impact on both the MBAs and the companies. Stern MBA students speak with Albert Wenger, partner at Union Square Ventures, and Professor Arun Sundararajan. Her fellow students concurred, noting the energy and excitement inherent in the fast-moving, ever-changing nature of the New York City technology start-up environment. “The scope is so wide because teams are moving and responding to their projects, which shift, necessarily, from the project that was envisioned at the start of the class,” explained Bryan Coughlin, a second-year MBA. Although several of the students came to the course with Silicon Valley experience, including internships at Microsoft, Google and Go Pro, for example, they reflected on the unique opportunity to be embedded within a company based in the City, where meetups, networking events and industry conversations happen with great frequency and in such proximity. “New York is definitely starting to compete with the powerhouse of Silicon Valley,” Bryan agreed, describing the breadth of skill sets, perspectives and professional relationships available here. “Through our access to key decision-makers, guest speakers and our mentors, Professor Sundararajan and Albert, we gained invaluable insight into what it’s like to create a business and be a part of the process,” said Raquel Jegouzo, whose experience in the course affirmed her interest in the industry and has led to several consultancy roles as well as a full-time job offer. Complementing their on-the-ground immersion in start-up culture, the students traveled to the Union Square Ventures headquarters for a crash course in venture capital, learning how VCs decide whether to make an investment in a company, how they support founders and how their insights can help start-ups grow, evolve and develop into more successful companies. The course is currently underway, for the second time, this spring 2017 semester with many of 2016’s companies delighted to return, and some new ones, including Amino and WayUp joining this year’s rotation.